The fact that the digital printers do not need a computer to run any operation makes navigation through the setup and functionality simple and flexible. This is a printer of that caliber with almost 3-inch touchscreen to act as a monitor when trying to access any of the four functions inbuilt in the system. This is a high-performance machine with print speeds of 32 papers per minute and dpi resolution of 2400 by 600. If you have content from the mobile devices then the integration of the wireless system allows you to directly print from the gadgets. All you need is the right application within the digital devices to complete the process. This is a tool that supports the following cloud functions iPrint $scan, WI-FI direct, among others. The 250 capacity input tray drives the fast speed to efficiency when it comes to delivery of the output functions. 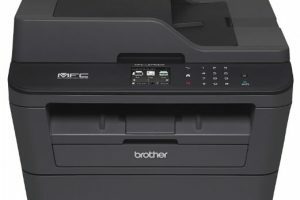 The printer connectivity type supported in this tool includes Ethernet and WI-FI to deal with all the internet services. The monochrome function allows you to handle the automated document feeder. It is the best tool for both office and home office. This is a simple and intuitive application for all users despite the level of experience. 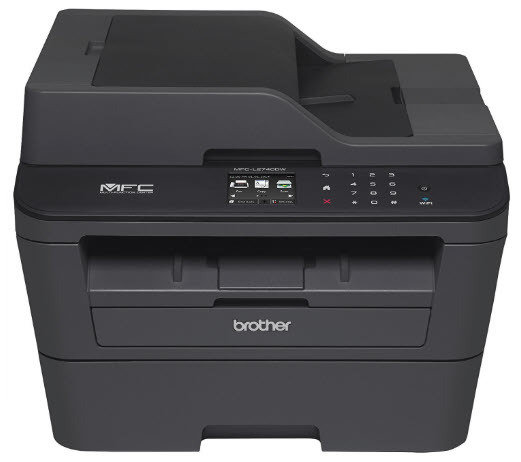 Brother MFC-L2740DW Printer Driver is licensed as freeware for PC or laptop with Windows 32 bit and 64 bit operating system. It is in printers category and is available to all software users as a free download.